Peter Molyneux says his 22 Cans studio is only going to make one game, ever. 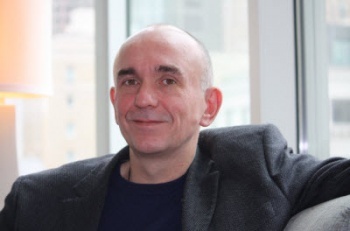 Peter Molyneux founded the indie studio 22 Cans immediately following his depature from the "creative padded cell" of Microsoft and Lionhead. 22 Cans will perform 22 "experiments," he explained back in May, each of which will be released to the public "on the journey onto the final product that we're going to make." And that final product, he said over the weekend, really will be the final product. "Everything that we do, every thought that we have, every moment of a day, is all working towards this full game. 22 Cans is only going to make one game and that's it," he told VG247. "You just release that single experience then you refine it and adapt it like - and don't think of this in any way other than an analogy - when a TV company makes a soap opera," he explained. "They're not thinking about making a sequel to that show. Instead they're thinking of how they make this show as amazing as possible so that people watch it today, and that they will still be watching in a year's time. I like to think of our game like that." To be clear, the "full game" Molyneux has in mind is not Curiosity, the giant cube with the magic in the middle that may or may not change the world for at least one of its inhabitants. Work on the game is underway, but nothing is known about it publicly at this point. Other 22 Cans employees are working on the Android version of Curiosity, as well as a new experiment that's also under wraps.